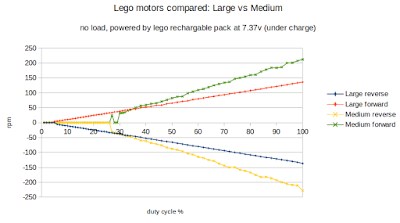 The large motor is a good performer, starting to rotate at a low duty cycle, and very linear in its behaviour for both positive and negative duty cycles, it starts moving at 6% and has maxes out at 136 rpm. 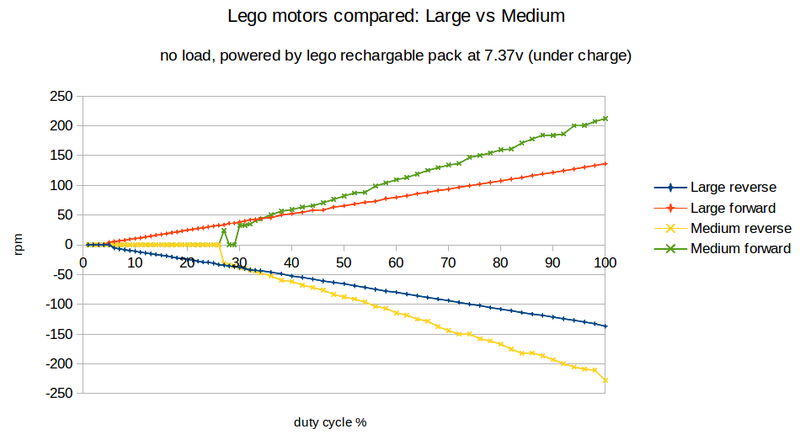 The medium motor isn't so good in this respect, it doesn't start moving reliably until 30% duty cycle. It maxes out at 227 rpm in reverse, and 212 rpm forwards.